Forrester’s Bighorn River Resort I spent six days with my dad at Forrester's in mid-October 2017. The original intent was to split the time between upland hunting and fishing. We were so impressed after our first day of hunting, we altered our plans to hunt as many days as possible. Having brought my 3 year old red setter all the way from Minnesota, I was a bit nervous about how she'd handle the big Montana terrain. I'm happy to report she did awesome, and truly made the trip extra special. Our hunting guide was very helpful and worked with me to get my dog hunting well. It was an awesome trip. I hope this review helps for anyone bringing a dog. We had multiple moments where we had to pinch ourselves. That's how good the entire experience was. Forrester’s Bighorn River Resort Having never fly fished or been to Montana for that matter, I had no idea what to expect. Arriving at Forrester's we were greeted with warm smiles, sandwiches, drinks and all types of snacks. That was just the tip of the ice berg as far as food goes. Every meal was 5 courses and way beyond my expectations. I tell my friends it was by far the 3 best consecutive meals Ive ever eaten. The cabins are perfect and stocked with everything you will need including fresh ground coffee. The fishing was everything I had hoped for, patient guides and plenty of fish. We caught 32 fish the second day and had to skip the last 3 miles of the river due to heavy rain! Forrester's is a First Class family owned fishing resort that I will definitely be returning to. It could not have been a more perfect trip. Forrester’s Bighorn River Resort Second trip to Forrester's this past June -- once again, it was everything we hoped it would be and more. We enjoyed our first trip so much last year, that we returned this spring with 7 more of our friends (total of 10). Nick and Francine are incredibly generous hosts and in my experience, you won't find a better combination of quality fishing, spectacular views, comfortable accommodations and five-star dining anywhere else. Frank (head chef) turns out meals that rival anything you can find in the top big-city restaurants and the food was one of the many reasons we came back for a second season. Of course, the fishing, quality guides and great location were factors too. Book this place with confidence and enjoy your Montana fly fishing experience, whether you're a beginner or a seasoned angler! We will be back next year for another adventure. Forrester’s Bighorn River Resort I can't say enough good things about Forester's Bighorn River Resort. My father has been going there to fish every year for over 20 years and I have been fortunate enough to go with him 4 times. If you are a serious fly fisher you will think you have died and gone to heaven at the resort. Even if you are rank amateur like me you will love it. The guides are so good you can't help but catch fish. Nick, Francie and the staff go out of their way to make everyone feel welcome and to cater to individual preferences. The cabins and the lodge are comfortable and well appointed. And the food is worth the trip all by itself. Frank makes better tasting and more beautifully presented meals than I've had in excellent restaurants. Thank you for another outstanding visit! Forrester’s Bighorn River Resort Great lodging, a lot of savvy, and a great river for anyone interested in the near-spiritual experience of fly-fishing. Here is a place I only knew from postcards, now I can truly brag that I’ve been there and done that! If Nick and his guides have any patience left, I plan to take my City Slicker self back to Forrester’s Bighorn River Resort.  Forrester’s Bighorn River Resort As a professional fishing guide, I get paid to fish all over the world. When it comes time to plan a personal vacation, I always try to schedule a trip to Nick Forrester’s Bighorn River Resort!